Nantong has risen again in the GDP rankings of Chinese cities, as shown by figures the city's bureau of statistics published in February. The bureau estimates that Nantong's 2017 GDP hit 773.46 billion yuan ($122.17 billion), growing by 7.8 percent year-on-year. In 2017, there were 27 large and medium-sized cities in China with GDP exceeding 700 billion yuan. Among them were 12 prefecture-level cities. 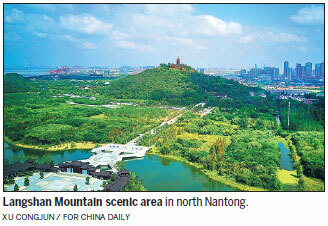 Nantong ranked No 6 among those 12 cities, after Suzhou, Changsha, Wuxi, Foshan and Zhengzhou. It climbed three positions higher from its 2016 ranking. The city authorities' general public budget revenue reached 59.06 billion yuan. Fixed assets investment hit 495.92 billion yuan, an increase of 8.9 percent year-on-year. Total retail sales of consumer goods increased 9.1 percent year-on-year to 287.34 billion yuan. The total volume of imports and exports reached 236.02 billion yuan, an increase of 16 percent year-on-year. People's income in Nantong has steadily improved. Urban residents' annual per capita disposable income reached 42,756 yuan and rural residents' hit 20,472 yuan, an annual increase of 8.9 percent and 9.2 percent, respectively. On the qualitative side, the city government has rolled out an array of measures to enrich people's quality of life and to improve the local environment. The Wushan Mountain scenic area is located in north Nantong and comprises five separate mountains: Junshan Mountain, Jianshan Mountain, Langshan Mountain, Ma'an Mountain, and Huangni Mountain. In 2017, the local government launched a recovery project to restore the ecosystem in the scenic area. 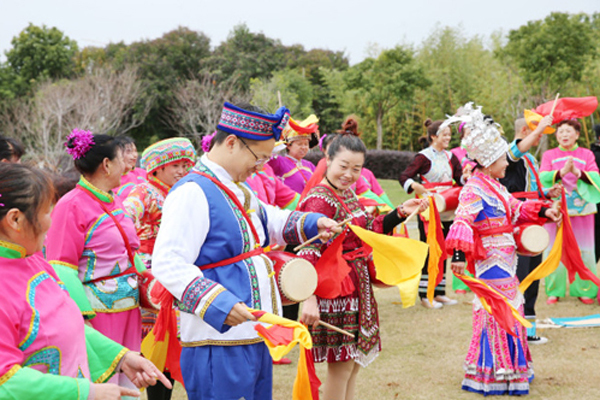 Lu Zhipeng, Party chief of Nantong, said that Wushan will feature a forest park and be a "green lung" for the local people, to embrace its status as a city landmark. The project is set to be completed by the end of 2018. 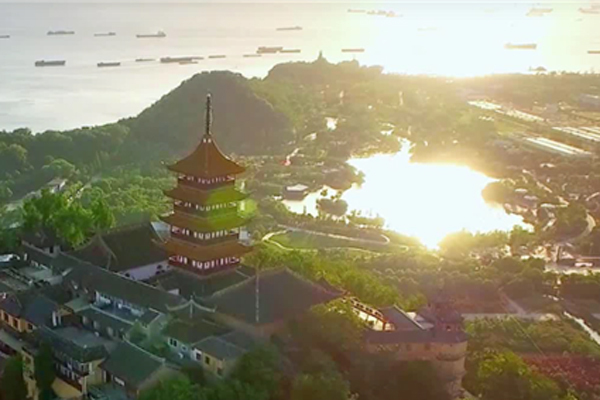 The ecosystem recovery project in Nantong is not limited to Wushan Mountain but stretches extensively along the city's rivers, covering about 20 square kilometers, stretching from Binjiang Park to Tonglyu River. 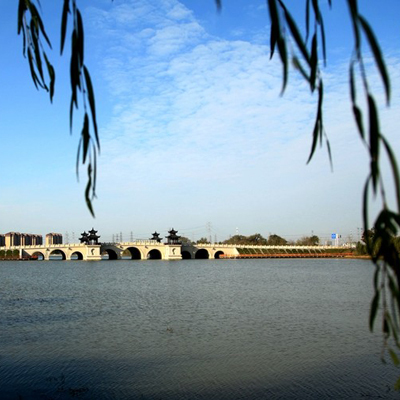 The area around Binjiang River will welcome visitors coming to Nantong, and will be filled with the singing of birds and the scent of flowers after it is finished, Lu said. The key way to foster the beauty of Nantong is to promote green development and to consider industry, people's life quality and the environment as a whole, he added. To succeed in green development, the city should ensure that their output meets the standards of the city's environmental policies. And for projects that already exist, the government will encourage their industrial upgrading and promote low-carbon daily production, Lu said.